This proposition is about the creation of a new green, building-free landmark that accords with the neighborhood’s need for free space and sheletring the AIDS Memorial Center. A whole new topology in the form of a continuous topography of 16.000 fully planted square feet that focuses on responding to the needs of New Yorkers to having a green oasis open to host everyday life and activities of the neighborhood’s residents, visitors or permanent users as well as an honoring spot for the hundreds of thousands of people lost to AIDS or still confronting the disease. A large pond situated at the center of the plot serves as a serenity point and brings calmness and tranquility to the visitor though being in the center of New York city. This …. 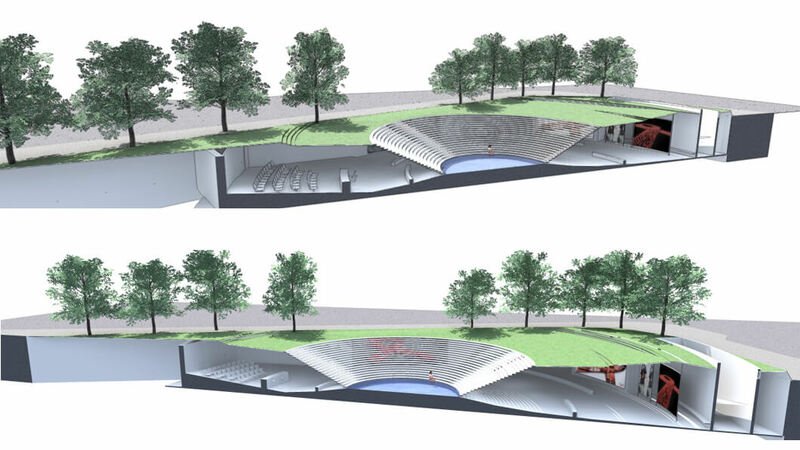 with numerous slabs – seats at its perimeter recedes up to 3 meters from road level and helps users escape from the city noise and daily routine. 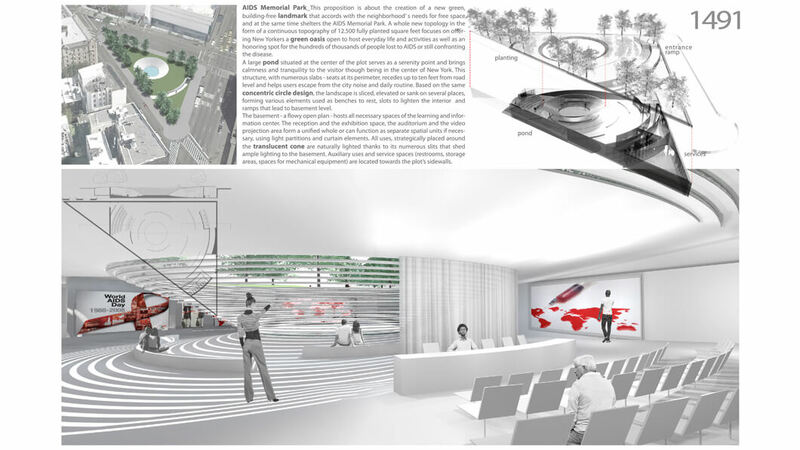 Based on the same concentric circle design the landscape is sliced and elevated or sank on several places forming various elements used as benches to rest, slots to lighten the interior and entrance ramp leading to basement level. The basement ….. a flowy fully lighted open space that hosts all necessary spaces for the learning and information center. 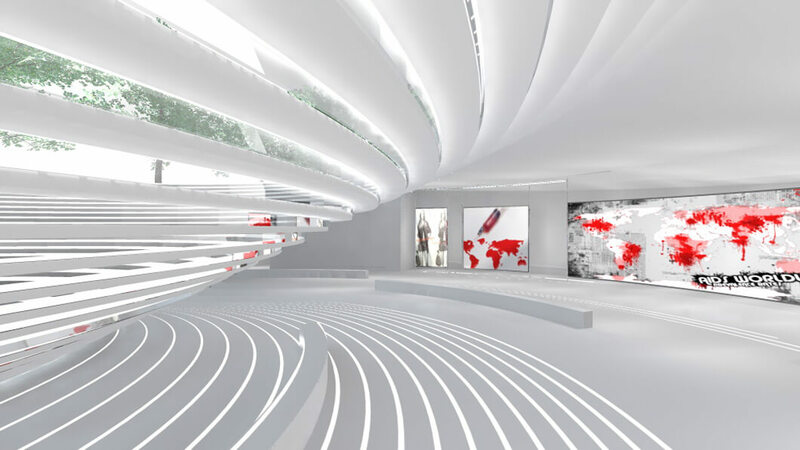 A reception and an exhibition space, an auditorium and a video projection area, all forming a unified whole or can function as separate spatial units when needed using light partitions and curtain elements. All uses are arranged according to the translucent cone which along with numerous slits at ground level plane shed ample lighting to basement level. Auxiliary uses and service spaces (restrooms, storage areas, spaces for mechanical equipment) are located towards the plot’s sidewalls.